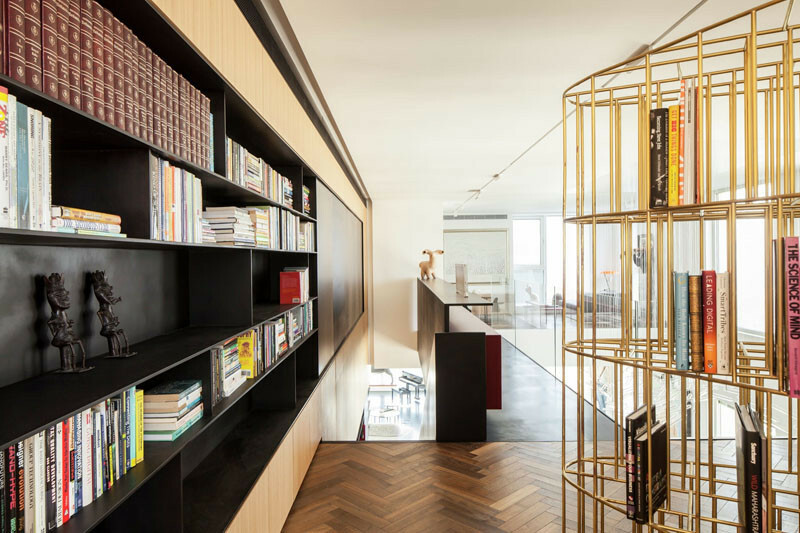 Pitsou Kedem Architects designed the interior of this penthouse apartment for an art collector in Tel Aviv, Israel. 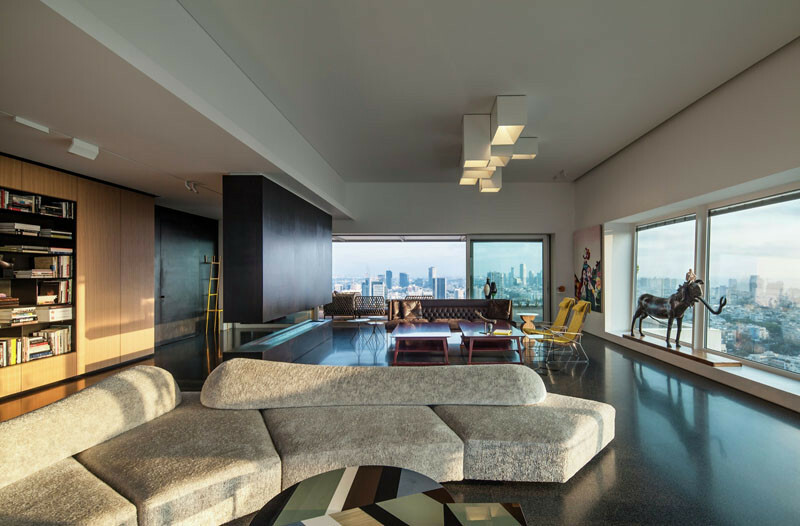 The apartment is located on the 31st and 32nd floor of the building. 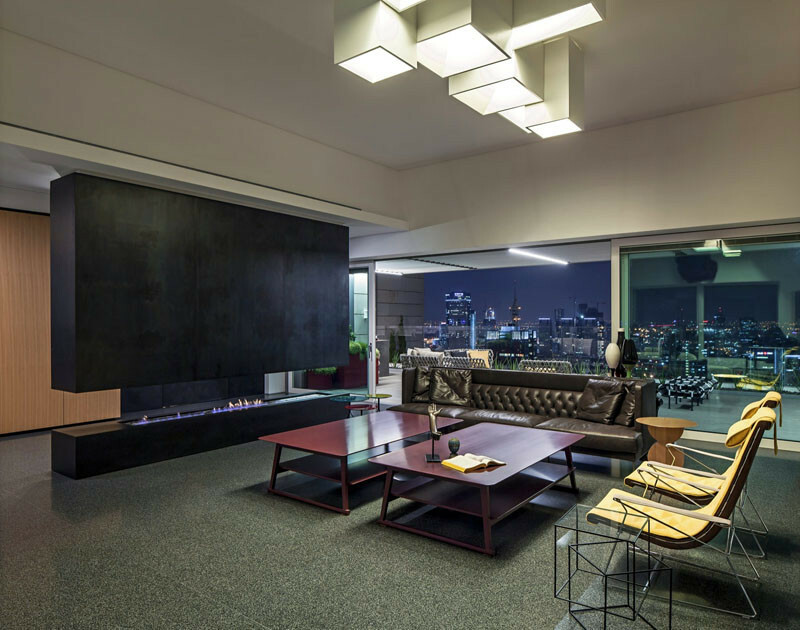 Throughout the apartment there’s a variety of sitting and dining areas, like this one next to the large fireplace. 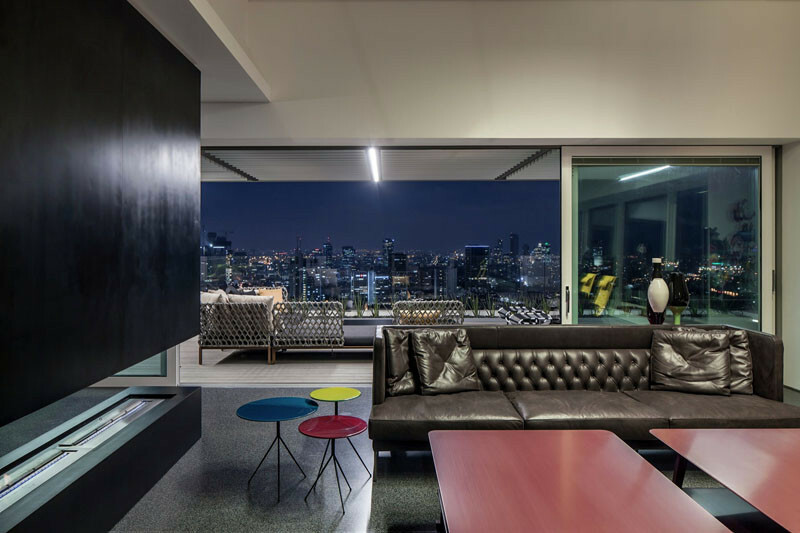 There’s also the lounge area, which has amazing views overlooking the city. 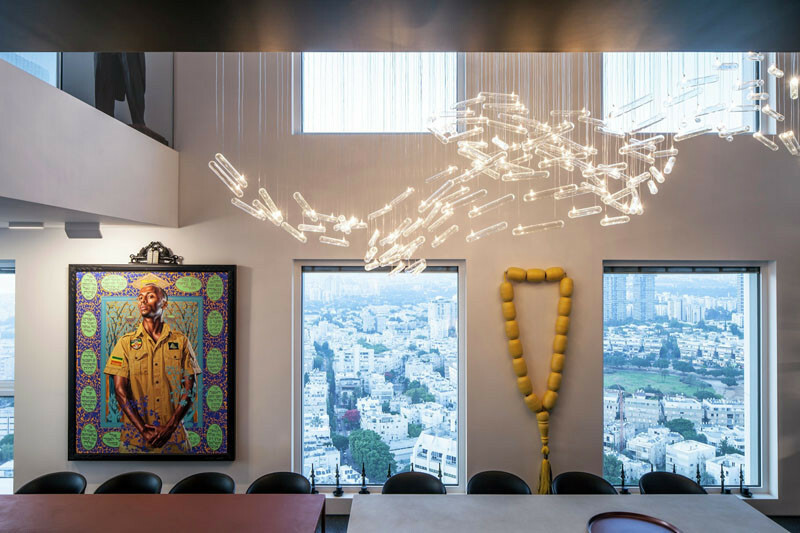 The apartment’s walls and corners are filled with the owner’s unique collection of artwork. 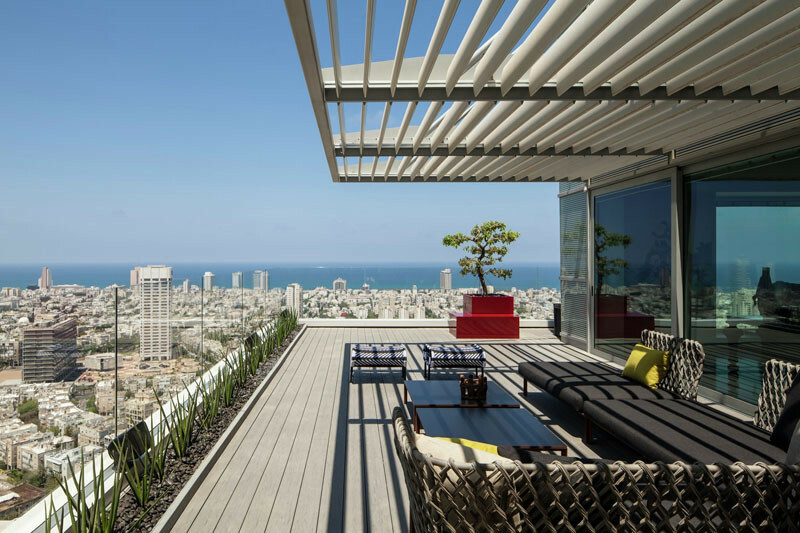 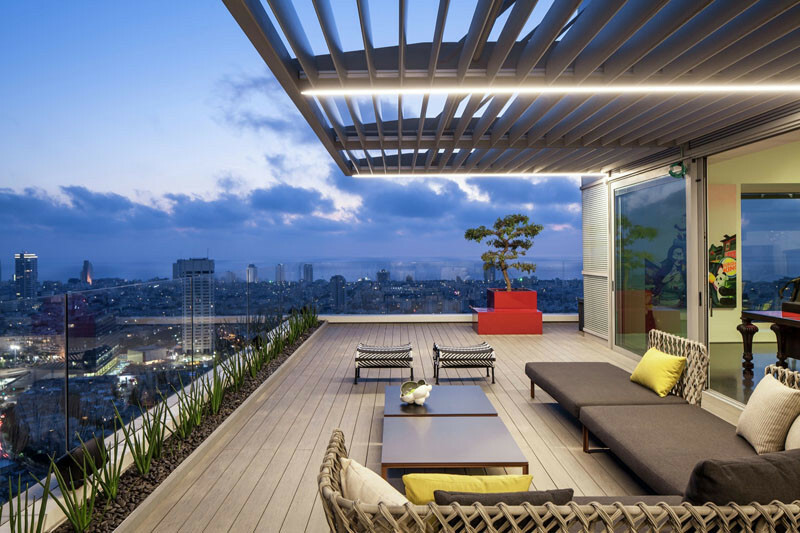 Outside, there’s a deck with another lounge area, perfect for enjoying the views of Tel Aviv. 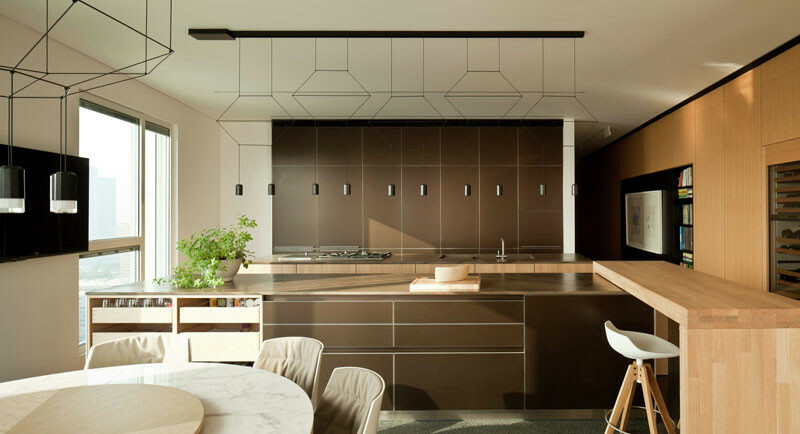 Here’s a look at the kitchen, that features geometric-shaped pendant lighting suspended above the island. 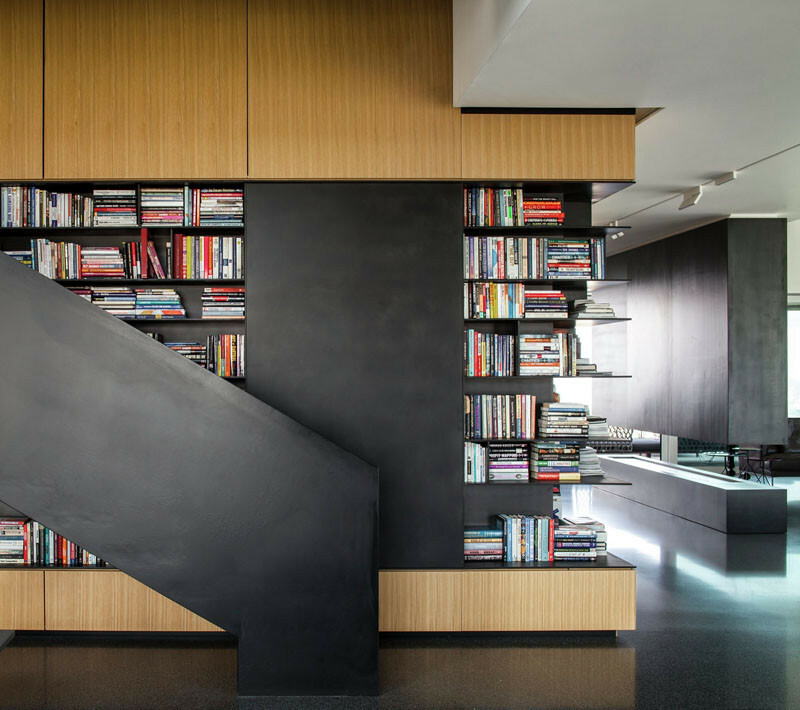 …and wraps around the corner, continuing on past the stairs. 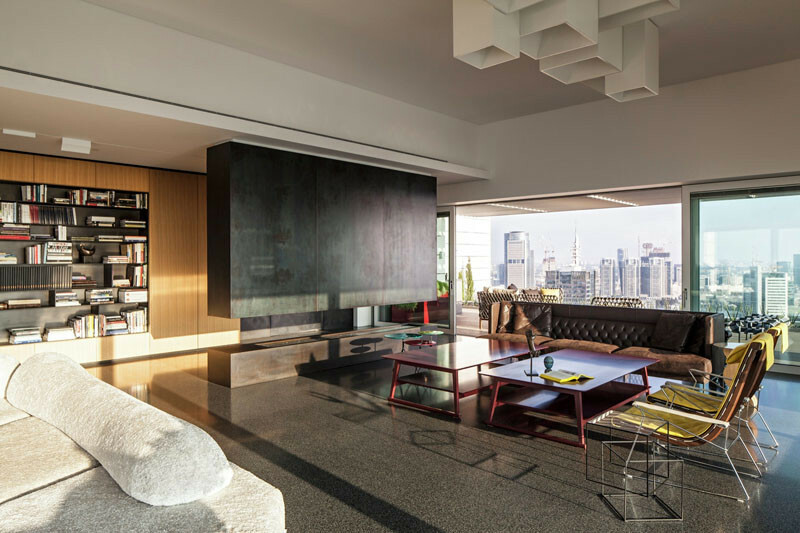 There is a huge dining table for hosting large dinner parties. 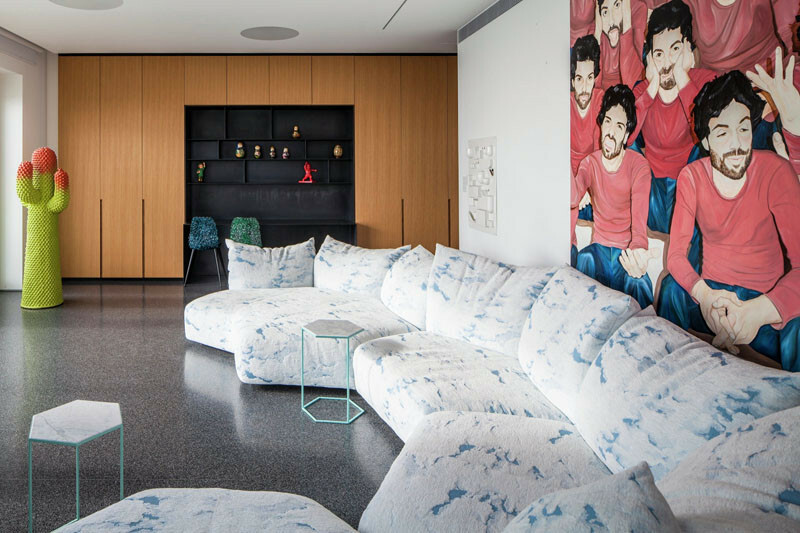 The designers used a dark terrazzo floor to unify the main living areas. 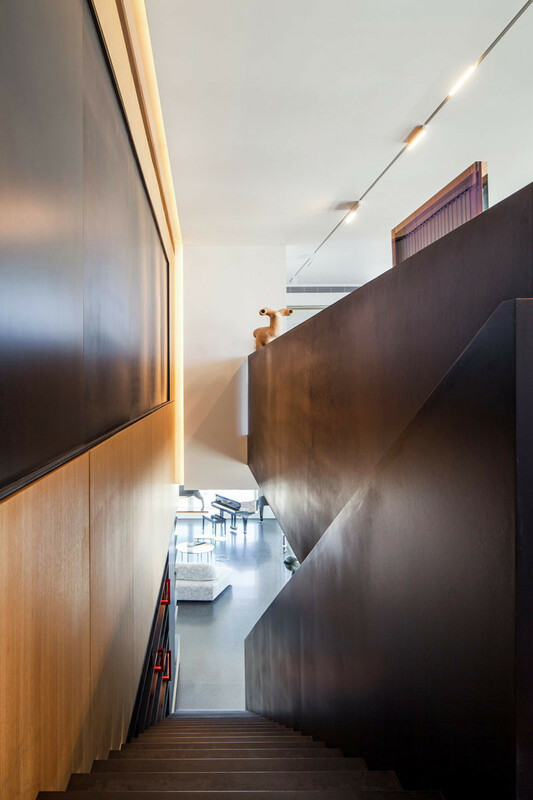 A black staircase leads you to the second floor. 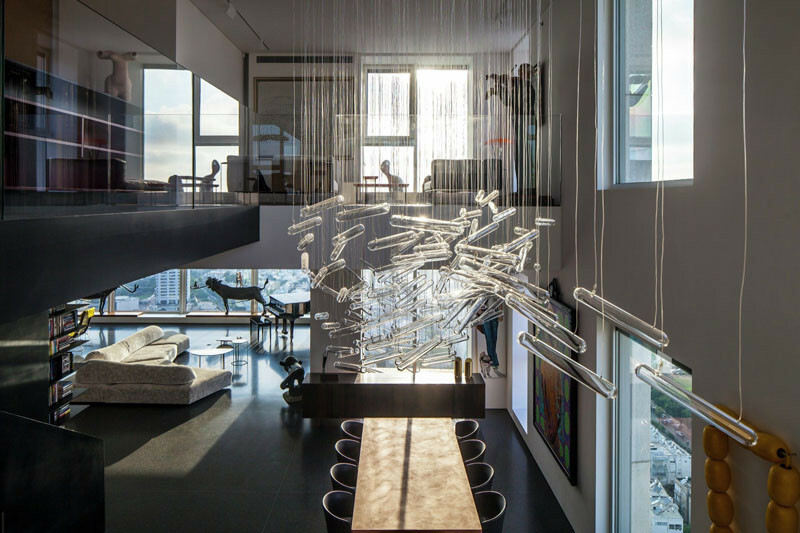 From the upper level, you can look down over the sculptural chandelier. 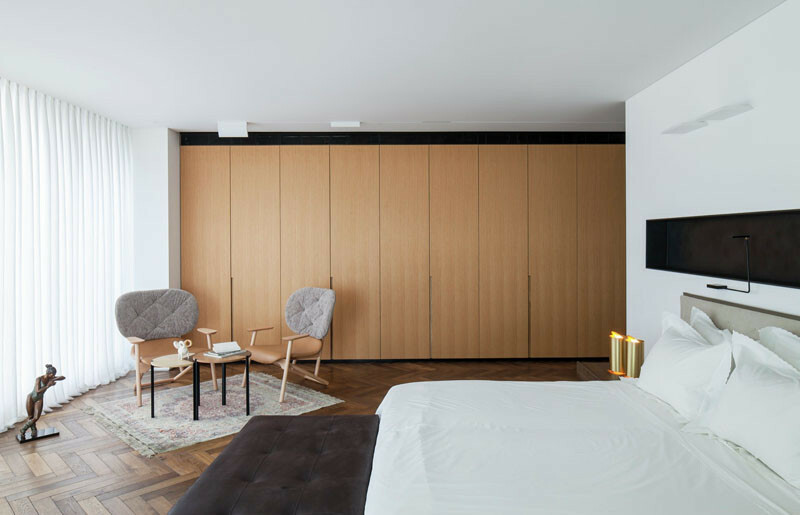 In the bedroom, there’s a quiet place to relax and read a book. 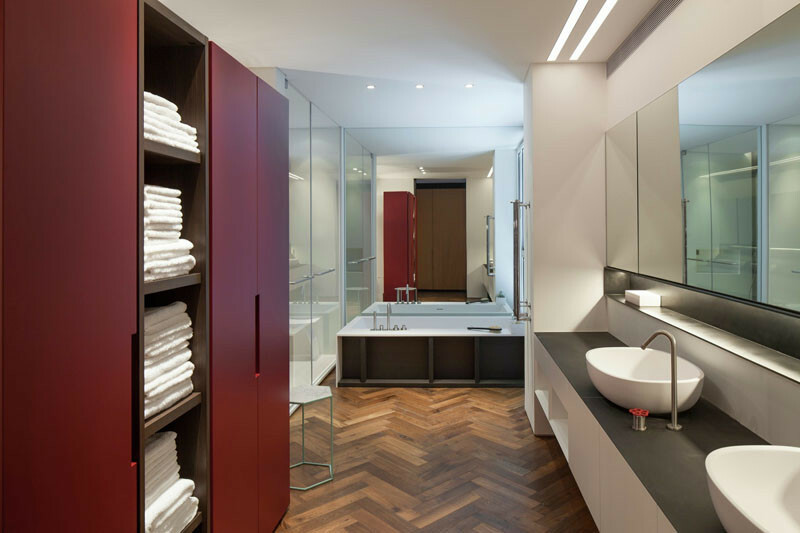 In the bathroom, a deep red cabinet adds a touch of color.